)As Carl Sagan famously said, “The nitrogen in our DNA, the calcium in our teeth, the iron in our blood, the carbon in our apple pies were made in the interiors of collapsing stars. 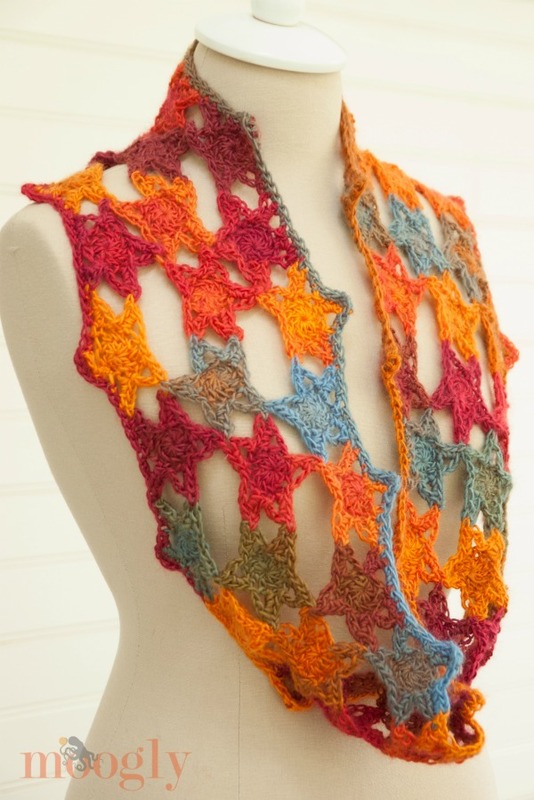 We are made of starstuff.” And that applies double to the Starstuff Cowl crochet pattern! Because not only does this cowl now exist in the universe, but it’s made of stars! I took the Glittery Crochet Stars pattern that I designed last year, and used it to create this gorgeous one skein cowl. It’s light enough for AC’ed summer rooms, or you can double it and stay extra cozy this winter. Add more skeins, make it longer, go crazy – the Starstuff Cowl is totally customizable! And it’s join as you go – love it! Because this pattern is made up of motifs, the directions are a little different. I’ve made it as clear as I can with words and graphics. Click here for the Starstuff Cowl video tutorial! Now take a look at the following graphic. This is your plan for the rest of the scarf. The stars are numbered in order for the first 6, and you add them in this layout until you get to the last 3 – 58 to 60. Each point of the star will be joined to the the stars around it, except for the points that stick out at the sides. 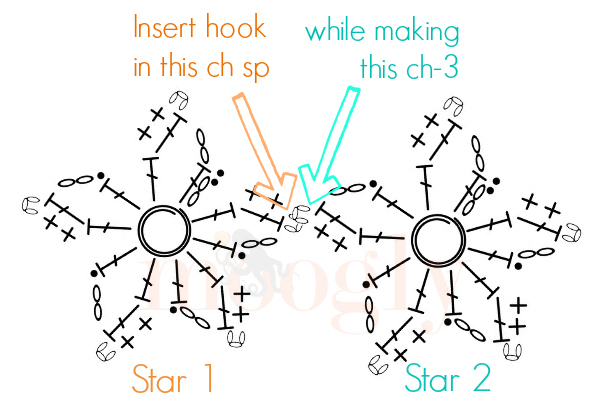 To start the next star, start as for the first star, then, when you get to the ch 3 that is in bold above, stop at the ch 1, remove your hook, insert your hook into the ch sp of the star point you want to join to, and then put the loop of the second star back on your hook. Finish the ch 3 and the rest of the star as written. See the graphics below. Work across, from left to right in rows of 3, repeating the joining method seen above whenever you see the points of two pentagons touch, as in the layout above. When you are joining to two stars, insert your hook in the “newest” star. So for Star 5, join to Star 4 for the first circle, Star 2 for the second and third circle. When you’ve made 19 rows of 3 stars each, it’s time to work the joining row that will turn it into a cowl (unless you want to keep going and make it into a bigger cowl or scarf!). In this row, almost all the points of all the stars will connect to other stars, except for the very first point of Star 58. Look again at the first graphic, and you’ll see colored dots at the bottom of the first row and top of the last row – these are the joins that create the cowl, and they are color coded so you can see how they match up. Finally, work a sc border all around both edges, and make sure all ends are woven in. Block as needed. I blocked my Starstuff Cowl by getting it damp and pinning it out flat until it dried. And now It’s all ready for me to wear to the Knit and Crochet Show next week! When I return, I’ll be happy to make a video tutorial, if you feel you need one – let me know in the comments! Love it! Please make a video!!! hi, I would love to see a video for this, it a beautiful cowl. I have been crocheting off & on for 30 years, but only simple stuff so I still consider my self a beginner. So videos is better for me. Thanks for sharing your patterns with us. Your instructions and diagrams are clear as a bell. Thank you for this. 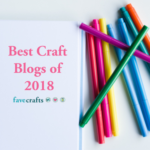 It will make a gorgeous thank you gift! 😀 Thank you so much Elayne! You’ve done it again! Another must make scarf. Simply beautiful! So each star is made separately, but attached as you go? I so want to make this cowl, but I’m having a hard time understanding it even with your explicit instructions. I will just have to try it. Sometimes when you’re actually doing it and looking at the stitches, it makes more sense. Definitely need a video please!!! Would love to make a shrug or evening cover up with this stitch. For a wrap you just add more stars til you have the size you want! 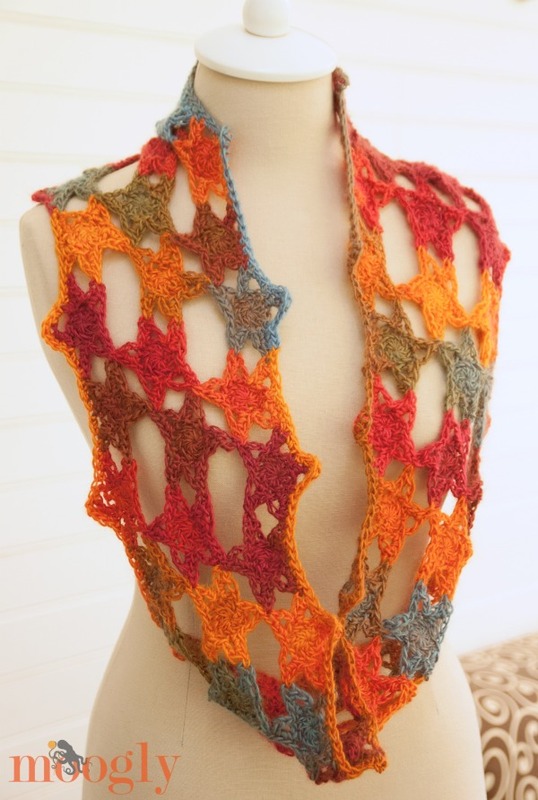 I might have to design a shrug – love that idea! Yes!! would love a video on how to make this! Thank you!! Thanks! I really like it. Love this! A video for joining techniques would be great. Thanks for sharing! I think I understand. I am anxious to try it. I do not find videos helpful. I work best off the written word and a few pictures. This is beautiful. I’m going to try to make it as soon as I finish 2 childrens’ sweaters for my nephews. I’m so looking forward to it. Thank you for sharing. I love new things and this is very new. Thanks again. 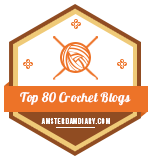 I’m a little confused about the construction … Am I cutting the yarn and weaving in ends for each star? Or is there a way to make a continuous chain that are joined? Sorry for the confusion! 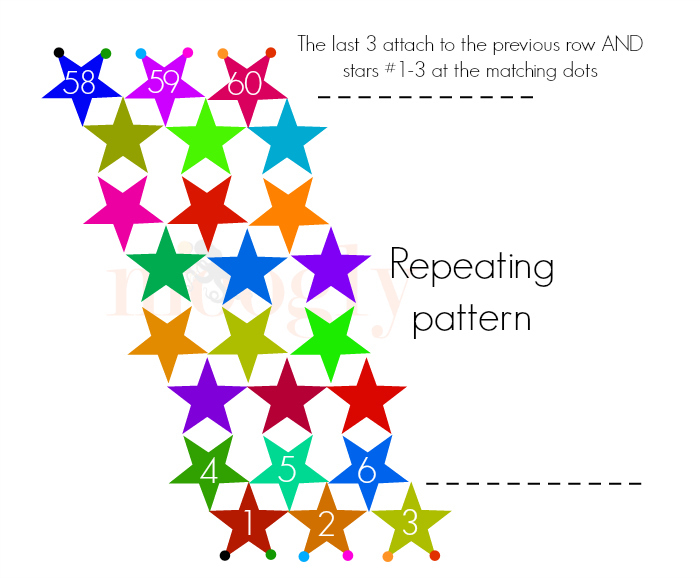 This is worked in motifs, so you’ll need to cut the yarn after each star. Just went to buy the supplies today! 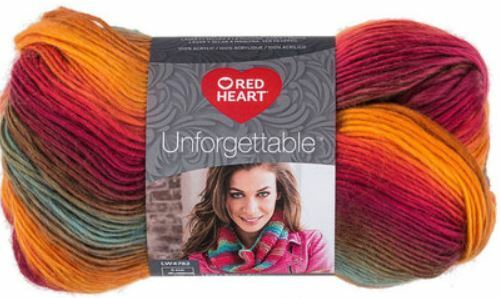 I couldn’t decide which color way to choose since ALL the Red Heart Unforgettable colors are stunning. But I decided to follow your lead and go with Sunrise. Already 2 stars made (and joined). It’s funny because I’m still working your lace chevron wrap pattern, but this pattern was too tempting not to distract me from it (that is a lovely pattern as well). Oh well…life is just one giant WIP. Thanks for the free pattern, and for all your great tutorials! 😀 You’re welcome, and hello! What a cool pattern! 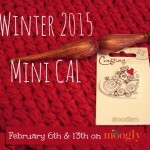 I love that it’s a one skein project! It’s not every day that one sees Carl Sagan quoted in a crochet pattern! Thanks for this. 😀 You are very welcome Wendy! 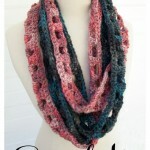 I hope I can make this scarf, its soooo pretty! I love it! thank you for sharing it! Hi Collie! Thank you! 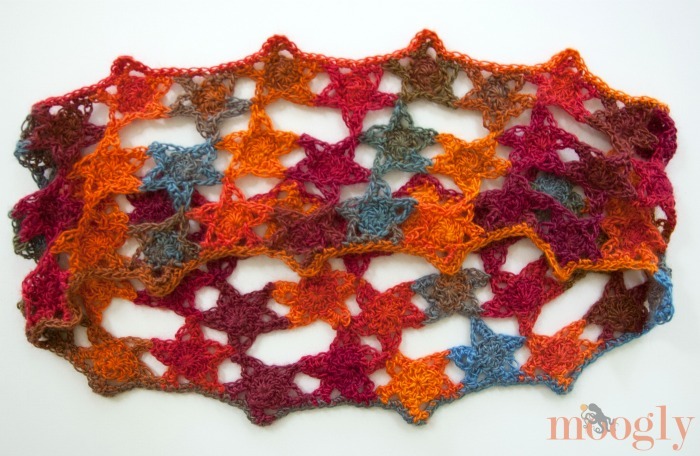 Since each star is added one at a time, this would work really well for one or more skeins of yarn – it’s a fun stashbuster too! Please make us a video! Can this be turned into a scarf instead by using more than 1 skein? Thank you! Hi Jerilyn, thank you! There is a video tutorial HERE! 🙂 You can absolutely just keep adding stars to make it longer for a scarf! Thank you so much for sharing this beautiful pattern and making it available for downloading and printing. I can’t wait to make some for gifts. 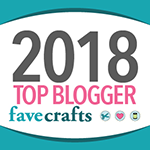 Everyone loves receiving hand made, unique gifts like this and your free pattern makes it so easy to come up with something new. 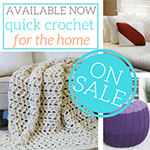 I want to add “thank you!” for using a yarn that is easy to find and purchase. 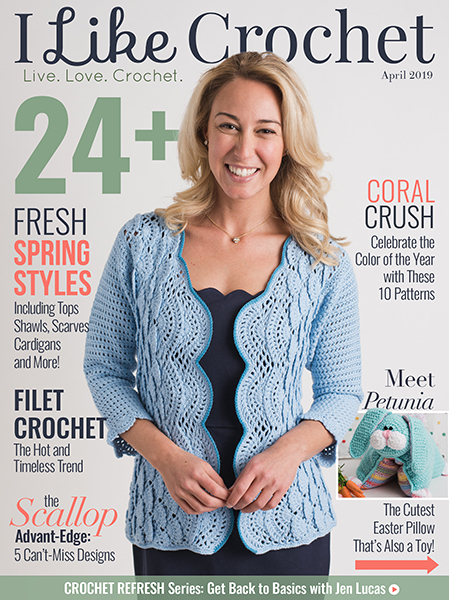 So many patterns use yarn that I can’t find and then have to try to figure out how to substitute something else. 🙂 I’m glad you like it! Thank you Julie! Hi Joanne! Thank you, what a fun idea! 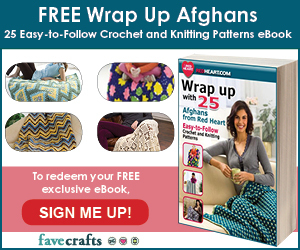 I don’t have a heart pattern myself, but there are lots on Ravelry, and I’m sure several would work great! I would love a tutorial. It is always a bit easier to understand.